How do you present the right content in a unique way to make your EH&S Webpage a must read? Triumvirate has compiled a library of best-in-class university EH&S Webpages and has come up with some best practices for creating outstanding EH&S resources. Hear from our expert as she outlines the dos and don’ts of expanding your EH&S department’s online footprint. Emily Sullivan is a Corporate Management Trainee at Triumvirate Environmental, where she assists the COO with special projects and duties to ensure smooth workflow across the company. Emily generates monthly dashboards for reviewing all KPIs for each branch manager and facilitates collaboration between various departments to improve overall communication and efficiency. 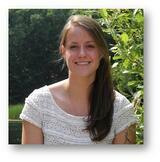 Recently, Emily has taken a lead role in promoting Triumvirate’s university EH&S resources program.